It was nice that Mr S did the market shop on Friday as it meant we didn’t have to rush off early on Saturday and we could get on a nice and early Walter walk. He’s getting really good off lead now but it’s a lot easier when less people are about as he can be easily distracted. Like when he ran out of the gate after us later in the day and wanted fusses from a neighbour and his granddaughter. Honestly! I appreciate that not everyone loves dogs but the way they reacted was like a snarling dire wolf was attacking them. I just have to work hard on teaching him that not everyone loves him like we do! 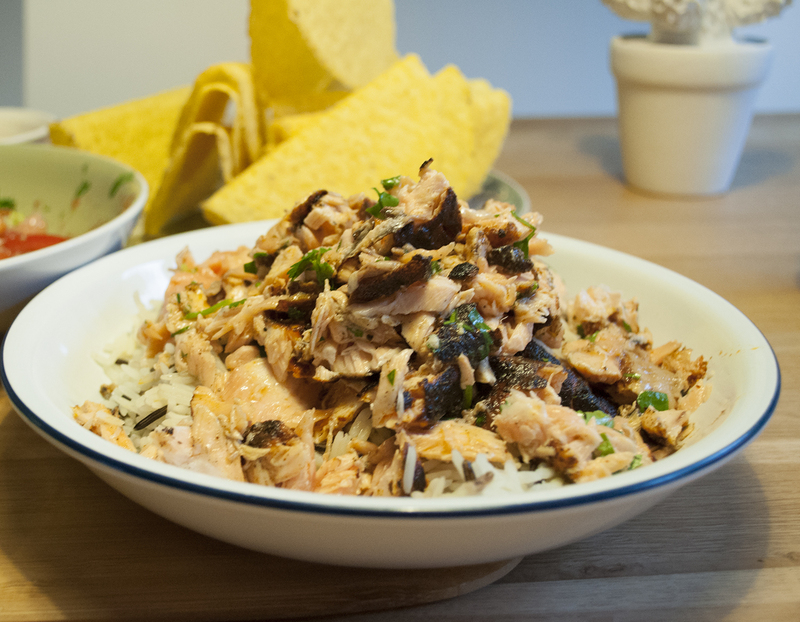 The recipe for these salmon tacos can be found on the BBC Good Food website. I added rice and seared then ovened my salmon as I’m not a big fan of grilling. Mix the paprika and cumin in a bowl with a pinch of salt. Rub all over the salmon. Heat the oil in a pan and add the salmon. Sear for a minute or so each side then transfer to the oven and cook for 8-10 minutes, depending on the size of the fish. Combine the yoghurt and garlic and season. 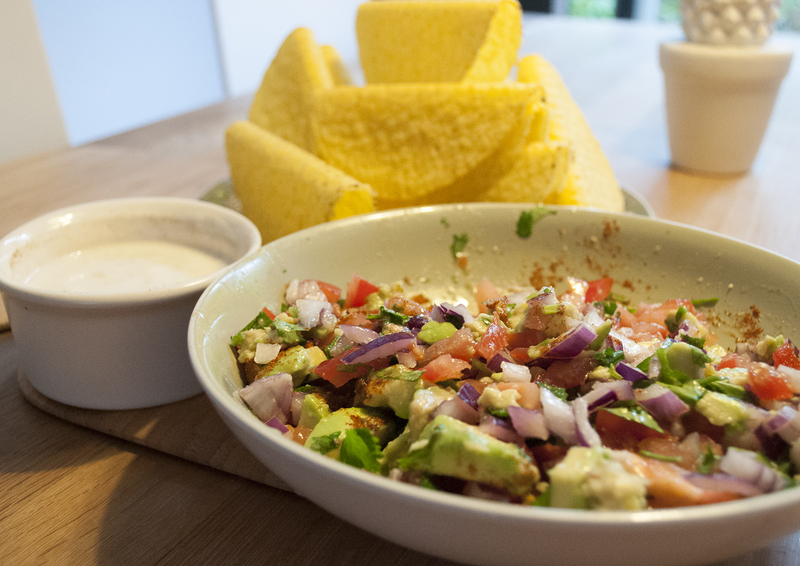 Combine the onion, tomato and avocado. Add the lime juice and some seasoning and stir through the coriander. Flake the cooked salmon into the rice. Pop everything on the table to dig in.